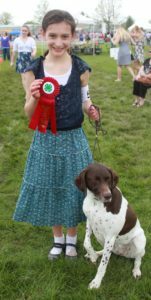 Award winner with her proud pup. Rutgers Day is a university-wide open house event that offers fun, family activities across all campuses in New Brunswick, Newark, and Camden. The 2018 Rutgers Day will be held on Saturday, April 28th from 10:00am to 4:00pm. Each campus offers a variety of hands-on activities and events for the public. One major event you don’t want to miss is the State 4-H Dog Show located in Skelly Field on the Cook Campus in New Brunswick. For over 25 years, the State 4-H Dog Show has provided New Jersey 4-H dog project members a state level event to test their dog’s skills and meet fellow dog project enthusiasts. This event started as part of 4-H Action Day and eventually became part of Ag Field Day, a Cook/Douglass open-house event. In recent years, Rutgers University expanded the open-house event to include all campuses. Throughout these changes, the State 4-H Dog Show continues to delight the public as it offers them a chance to meet and greet with 4-H dog project members. Originally, the State 4-H Dog Show only offered competition in obedience, a Seeing Eye Puppy class, and a fun tricks class. As interests evolved, new categories were added requiring more volunteers, judges, and show rings. 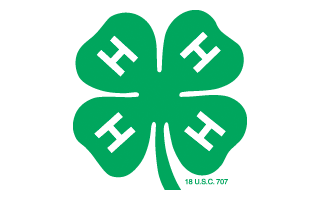 This year, visitors will watch 4-H dog project members compete in Obedience, Jr. Showmanship, Seeing Eye Puppy Class, Rally Obedience, and Agility. All dogs competing in the State 4-H Dog Show will be examined by the Grooming Judge to ensure they are in the best health and condition. Additionally, many members have submitted their artwork in the K-9 Arts Show which include photography, fine art, crafts, and creative writing. For members interested in testing their dog’s temperament in real-world situations, the Canine Good Citizen (CGC) Test will be available. In CGC, dogs undergo a series of everyday situations, such as greeting a stranger, to see if they can be considered a “model canine citizen”. This test is an important step for handlers interested in pursuing Therapy Dog status with their dog. This year, 100 participants representing over 15 dog project clubs will take over Skelly Field for all-day competitions. In addition, there will be nearly 50 volunteers to assist with set-up, running the various competition rings, and serving as judges and ring stewards. It takes a big team and a lot of planning to make the State 4-H Dog Show possible. Volunteers for this event include current 4-H dog club families and leaders, 4-H alumni, and AKC judges. If your weekend plans include Rutgers Day, be sure to stop by the State 4-H Dog Show to cheer on our 4-H members, learn about different breeds of dogs you may not otherwise see in your daily life, and watch our amazing 4-Hers in action.